It's going to be the wedding of the year--if the wedding happens. Peter Barnes has known since the moment he met Kenley Kissinger that Kenley was the one. He popped the question and on Valentine's weekend, they're going to make things legal. There's just one problem and it isn't Kenley getting cold feet. One of Peter's ex-boyfriends has materialized. He's not making things easy for the couple. 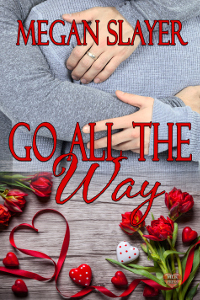 Will Peter and Kenley make it to the altar and go all the way, or will the past tear them apart before anyone mutters the words, I do?